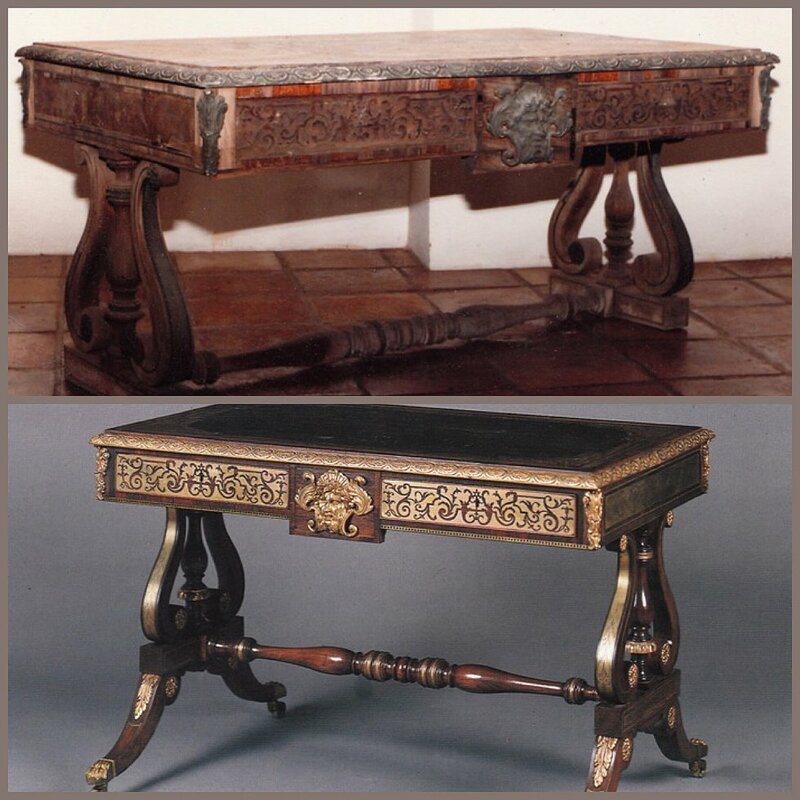 18th and early 19th century transparent finishes were mostly linseed oil based varnishes, or shellac/alcohol based ‘spirit varnishes’. By today’s standards, these finishes offer weak protection against spilled food and drink, water, sunlight and scratches. 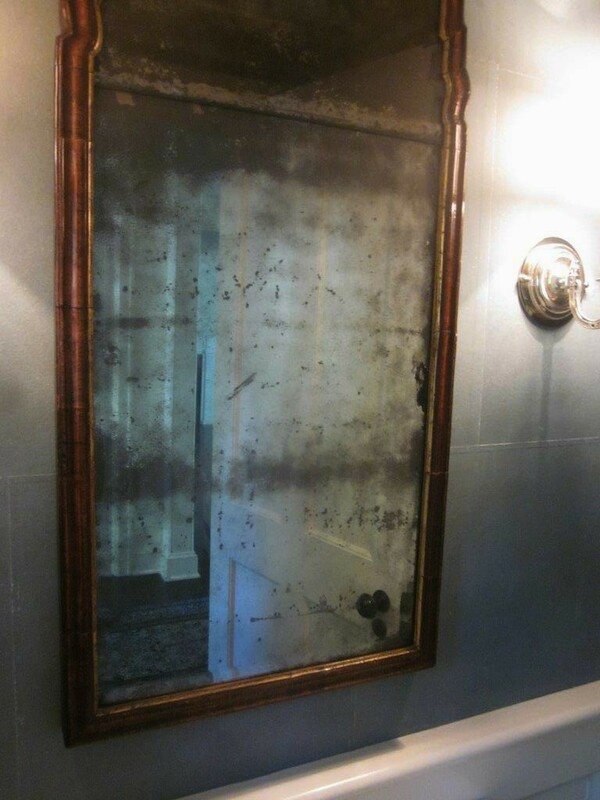 It is rare to find original finishes with that much prized “patina” intact. made good with inpainting, consolidation and appropriate clear top coating. Shallow surface losses can be filled with a blend of hard and soft waxes and rosins, colored to suit. 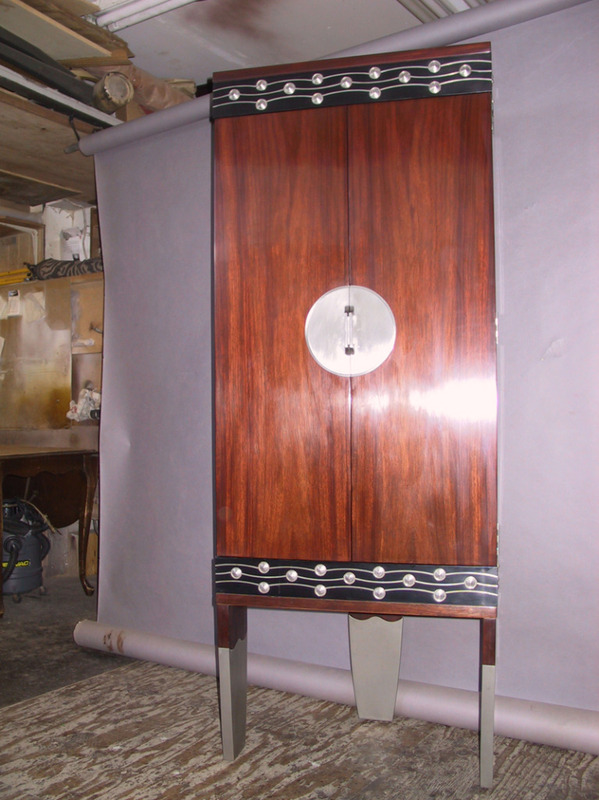 Painted finishes on antique furniture restoration requires skill in matching colors, hues, sheen and tonal values. Sunlight can darken or lighten old figurative pigments. 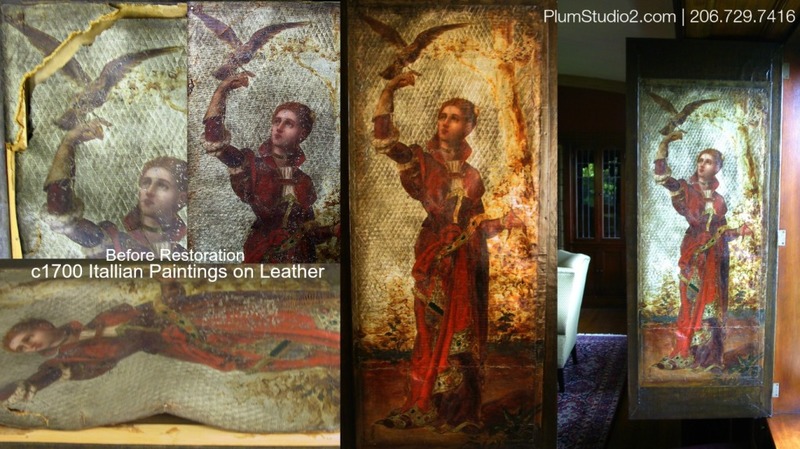 Crackle patterns can be introduced, while faux graining and figurative glazes are sometimes required. When considering various options, horizontal, vertical and turned surfaces reflect light differently. Natural, artificial light and combinations thereof should be considered. 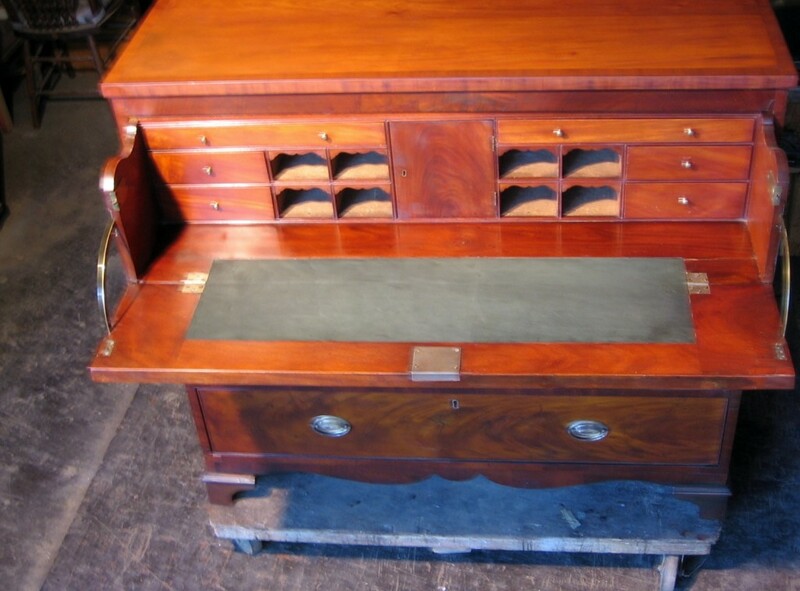 Distressing of new furniture or new parts for antique furniture if subtle, random and appropriate can be extremely realistic and difficult to distinguish from period pieces. Aggressive, over distressing becomes its own style. One decorator had me towing new sofa and chair frames up and down the gravel alley outside my studio! precisely remember color, photos are useless, only samples actually work.